Home The World and the Basques Basques in the world 63 Seconds of Basques Having Fun in Uruguay in 1922! 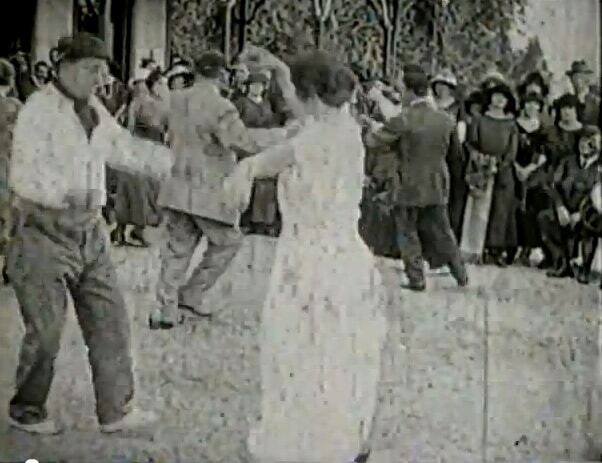 63 Seconds of Basques Having Fun in Uruguay in 1922! One of our regular readers has just sent a YouTube video that is a collection of short films showing aspects of daily life in Uruguay at the beginning of the 20th century. Among those fragments of history is a small short titled Los Emigrantes, fiesta en el Euskal Erria (The Emigrants, Basque Country Festival), showing us a moment of levity in the Basque Community in Montevideo in 1922. The documentary clocks in at just under ten minutes, and is a must-see, if just to see what things were like in the Roaring ’20s, and not just the big events, but also the day-to-day. The part about the Basques starts at 1:31, and it’s definitely a minute of glory! You know, seeing all those people, hearing the txistu and the tabor, it almost makes us want to get up and dance! PS: We love it when you guys send us stuff! Keep it coming! It’s a huge help!